TRIS is a member of the Greater Bangkok Athletics Conference (GBAC), an organization that organizes leagues that features competition in different sports, ability and age levels. This is a good venue for students to develop team work, school spirit, individual skills and self esteem. In addition, TRIS organizes “Sports Days” annually to encourage students to participate in sports. 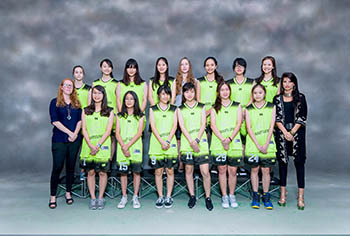 TRIS athletes in Lower, Middle, and High School have competitive matches with other international schools in basketball, football and volleyball. Our Open, U14, U11 boys’ and girls’ varsity team competes with other international schools in Bangkok. Trinity International School, Copyright 2019 © . All Rights Reserved.